Rodney Cline "Rod" Carew (born October 1, 1945) is a former Major League Baseball (MLB) first baseman, second baseman and coach of Panamanian descent. He played from 1967 to 1985 for the Minnesota Twins and the California Angels and was elected to the All-Star game every season except his last. While Carew was never a home run threat (only 92 of his 3,053 hits were home runs), he made a career out of being a consistent contact hitter. He threw right-handed and batted left-handed. He was inducted into the National Baseball Hall of Fame and the Caribbean Baseball Hall of Fame. Carew served as an MLB coach for several years after retiring as a player. Carew is the son of Olga Teoma, a domestic, and Eric Carew, Sr. a painter. Carew is a Zonian and was born to a Panamanian mother on a train in the town of Gatún, which, at that time, was in the Panama Canal Zone. The train was racially segregated; white passengers were given the better forward cars, while non-whites, like Carew's mother, were forced to ride in the rearward cars. When she went into labor, the conductor Charles Williams stopped the train to find a physician. Traveling on the train was Dr. Rodney Cline, who delivered the baby. In appreciation for this, Mrs. Carew named the boy Rodney Cline Carew. At age 14, Carew and his family emigrated to the United States and settled in the Washington Heights section of the borough of Manhattan, New York City. Although Carew attended George Washington High School, he never played baseball for the high school team. Instead, Carew played semi-pro baseball for the Bronx Cavaliers, which is where he was discovered by Minnesota Twins' scout, Monroe Katz (whose son, Steve, played with Carew on the Cavaliers). Katz then recommended Carew to another Twins' scout, Herb Stein, who along with Katz signed Carew to an amateur free agent contract (at the Stella D'Oro Restaurant in the Bronx) on June 24, 1964. Starting his minor league career, Carew was assigned to play second base with the Melbourne (FL) Twins in the Cocoa Rookie League and hit .325 over the final 37 games of the season. Promoted to the Single-A Orlando Twins in the Florida State League the following season, Carew hit .303 with 20 doubles, eight triples and one home run. Carew spent the 1966 season back at Single-A, but this time with the Wilson Tobs in the Carolina League. 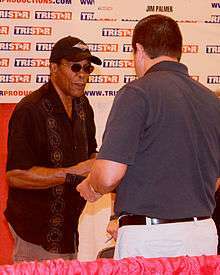 Carew won the American League (AL) Rookie of the Year award in 1967 and was elected to the first of 18 consecutive All-Star game appearances. Carew stole home seven times in the 1969 season to lead the majors, just missing Ty Cobb's Major League record of eight and the most in the major leagues since Pete Reiser stole seven for the Brooklyn Dodgers in 1946. In 1972, Carew led the AL in batting, hitting .318; he had no home runs for the only time in his career. This was the first time since 1918, when Zack Wheat won the National League batting championship, that a player won the batting title with no home runs. In 1975, Carew won his fourth consecutive AL batting title. He joined Ty Cobb as the only players to lead the major leagues in batting average for three consecutive seasons. Seeing time predominantly at second base early in his career, Carew moved to first base in September 1975 and stayed there for the rest of his career. In the 1977 season, Carew batted .388, which was the highest since Boston's Ted Williams hit .388 in 1957; he won the 1977 AL Most Valuable Player (MVP) Award. He had finished in the top 15 in AL MVP voting in every season between 1972 and 1976. In the summer of 1977, Carew appeared on the cover of Time with the caption "Baseball's Best Hitter". He won two more batting titles in 1977 and 1978, hitting .388 and .333. In 1979, frustrated by the Twins' inability to keep young talent, some racist comments by Calvin Griffith, and the Twins' overall penny-pinching negotiating style, Carew announced his intention to leave the Twins. On February 3, Carew was traded to the Angels for outfielder Ken Landreaux, catcher/first baseman Dave Engle, right-handed pitcher Paul Hartzell, and left-handed pitcher Brad Havens. Although it would have represented an infusion of talent, the Twins were unable to complete a possibly better deal with the New York Yankees in January in which Carew would have moved to the Yankees in exchange for Chris Chambliss, Juan Beníquez, Dámaso García, and Dave Righetti. 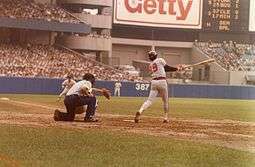 Carew bats at Yankee Stadium in 1979. Though Carew did not win a batting title after 1978, he hit between .305 and .339 from 1979 to 1983. In 1982, Carew broke his hand early in the season. Newspaper reports characterized him as swinging one-handed that season due to pain, but he put together a 25-game hitting streak at one point in the season. He played in 138 games that year and hit .319. The Angels went to the playoffs in 1982, which was Carew's fourth and final appearance in postseason play. The team lost a five-game series (three games to two) to the Milwaukee Brewers. Carew played in all five games, but he hit .176 (three hits in 17 at-bats). On August 4, 1985, Carew joined an elite group of ballplayers when he got his 3,000th base hit against Minnesota Twins left-hander Frank Viola at the former Anaheim Stadium. The 1985 season was his last. 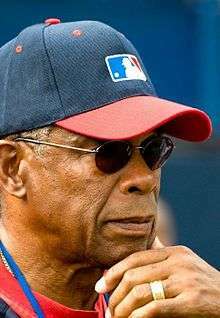 After the season, Rod Carew was granted free agency, after the Angels declined to offer him a new contract, but he received no offers from other teams. Carew suspected that baseball owners were colluding to keep him (and other players) from signing. On January 10, 1995, nearly a decade after his forced retirement, arbitrator Thomas Roberts ruled that the owners had violated the rules of baseball's second collusion agreement. Carew was awarded damages equivalent to what he would have likely received in 1986: $782,035.71. Carew finished his career with 3,053 hits and a lifetime batting average of .328. Through 2013, Carew still holds many places on the Twins all-time franchise lists including: the highest career batting average (.334), the second highest on-base percentage (.393; tied with Buddy Myer), fourth highest in intentional walks (99), and fifth in hits (2,085) and stolen bases (271). He also holds many places in Angels franchise history including highest career on-base percentage (.393), the second highest batting average (.314), and sixth highest in both intentional walks (45) and sacrifice hits (60). Carew's career total of 17 steals of home ties him for 17th on the all-time MLB list with former New York Giant MVP Larry Doyle and fellow Hall of Famer Eddie Collins. In a pre-game ceremony before the 2016 All Star Game in San Diego, the American League batting championship trophy was named "the Rod Carew American League Batting Championship Award." During the 1960s, Carew served a six-year commitment in the United States Marine Corps Reserve as a combat engineer. He later said that his military experience helped him in his baseball career. Carew said, "When I joined the Marine Corps, it was a life-changing event for me because I learned about discipline. When I first came up to the big leagues in 1967, I was a little bit of a hot-head. But after two weeks of war games every summer, I realized that baseball was not do-or-die. That kind of discipline made me the player I became." There is no evidence that Carew ever formally converted to Judaism, although he wore a chai necklace during his playing days. His first wife, Marilynn Levy, is Jewish and he was a member of Temple Beth Shalom in Santa Ana, California. Their three daughters were raised in the Jewish tradition and had their bat mitzvahs there. When one daughter, Michelle, died at age 18, services were held at Beth Shalom, and she was buried in the family plot at the United Hebrew Brotherhood Cemetery in Richfield, Minnesota, a suburb of Minneapolis, where Rod Carew played for the Minnesota Twins. A 1976 article written in Esquire magazine was one of the first publications to assert that Carew is Jewish. Sportswriter Harry Stein released his "All-Time All-Star Argument Starter" article which consisted of five different ethnic-based baseball teams. Carew was erroneously named the second baseman on Stein's All-Jewish team. A 2007 Salon article named Carew one of the 18 best Jewish ballplayers of all time; the article clarified that Carew was not Jewish but commended him for raising his children in the faith and for marrying Levy in spite of death threats he received. Another source propagating the story is the 1994 song, "The Chanukah Song", written and performed by entertainer Adam Sandler, in which he lists famous Jews of the 20th century: "...O.J. Simpson... not a Jew! But guess who is: Hall of Famer Rod Carew! He converted!" Carew later wrote Sandler and explained the situation, adding that Carew thought the song was "pretty funny." Sandler later deleted Carew from future versions of the song, although the original version still gets the most airplay. However, Neil Diamond later mentioned the ballplayer in his version of "The Chanukah Song". Rod Carew's number 29 was retired by the Minnesota Twins in 1987. Rod Carew's number 29 was retired by the California Angels in 1986. Carew moved to the community of Anaheim Hills, California while playing with the Angels and remained there after his retirement. Carew was hired as the Angels hitting coach on November 5, 1991 and served in a similar capacity with the Milwaukee Brewers. He is credited with helping develop young hitters like Garret Anderson, Jim Edmonds, and Tim Salmon. Carew has also worked at various times as a minor league and spring training hitting and base running coach for the Twins and serves as an international youth baseball instructor for Major League Baseball. Rod married second wife Rhonda in December 2001 and she has two children, Cheyenne and Devon. Devout Christians, the family attends Saddleback Church in Lake Forest, California. On January 19, 2004, Panama City's National Stadium was renamed "Rod Carew Stadium". In 2005, Carew was named the second baseman on the Major League Baseball Latino Legends Team. Carew's number 29 was retired by the Twins on July 19, 1987, and by the Angels in 1986. Carew was the fourth inductee into the Angels' Hall of Fame on August 6, 1991. Carew was elected to the Baseball Hall of Fame in 1991, his first year of eligibility, the 22nd player so elected. In 1999, he ranked #61 on The Sporting News' list of 100 Greatest Baseball Players, and was nominated as a finalist for Major League Baseball's All-Century Team. Carew was inducted into the Hispanic Heritage Baseball Museum Hall of Fame in 2010. Carew (left) talks to a fan in May 2014. Carew has three biological children from his first marriage - Charryse, Stephanie, and Michelle. In September 1995, his youngest of three daughters, Michelle, was diagnosed with acute myeloid leukemia, a relatively rare leukemia for a young person. Doctors wanted to perform a bone marrow transplant, but Michelle's rare ethnic heritage complicated the search for a matching donor; her father was black with West Indian and Panamanian roots and her mother was of Russian-Jewish ancestry. Carew pleaded for those of similar ethnic background to come forward. When no matching bone marrow donor was found, an umbilical cord blood transplant was performed in March 1996. Michelle died on April 17, 1996 at the age of 18. A statue of her has been installed in Angel Stadium of Anaheim. Carew began using chewing tobacco in 1964 and was a regular user up to 1992, when a cancerous growth in his mouth was discovered and removed. The years of use had severely damaged his teeth and gums, and Carew has spent a reported $100,000 in restorative dental work. In September, 2015 Carew suffered a massive heart attack while on a California golf course. He was hospitalized for more than six weeks, and had several surgeries, which culminated with implantation of a Left Ventricular Assist Device (LVAD). Carew recovered sufficiently to take part in the Twins' 2016 spring training as an instructor and coach. In comments Carew made to reporters in February, 2016, he indicated that his doctors have informed him that he will eventually need a heart transplant. 1 2 3 4 Pietrusza, David; Matthew Silverman; Gershman, Michael (2000). Baseball: The Biographical Encyclopedia. New York: Total Sports. ISBN 1-892129-34-5. 1 2 "Stealing Home Base Records by Baseball Almanac". Baseball-almanac.com. Retrieved October 6, 2011. 1 2 "The Last of the Pure Baseball Men". The Atlantic. August 1, 1981. Retrieved October 6, 2011. ↑ "Rod Carew Minor League Statistics & History". Baseball-Reference.com. October 1, 1945. Retrieved October 6, 2011. 1 2 3 4 5 "Rod Carew Statistics". Baseball-Reference.com. Archived from the original on October 15, 2012. Retrieved August 28, 2013. ↑ "Baseball's Best Hitter (Cover)". Time. July 18, 1977. Archived from the original on October 15, 2012. Retrieved February 2, 2014. 1 2 Charlton, James; Shatzkin, Mike; Holtje, Stephen (1990). The Ballplayers: baseball's ultimate biographical reference. New York: Arbor House/William Morrow and Company. pp. 155–156. ISBN 0-87795-984-6. ↑ "Yankees, Twins still dickering". St. Petersburg Times. United Press International. January 30, 1979. Retrieved June 19, 2009. ↑ "As hand heals, Rod Carew soars". Gainesville Sun. June 25, 1982. Retrieved February 2, 2014. 1 2 Chass, Murray (January 18, 1995). "Baseball; Collusion Case Grants Unusual Damages". The New York Times. Retrieved August 28, 2013. ↑ "Rod Carew Stats". ESPN.com. Archived from the original on November 14, 2012. Retrieved August 28, 2013. ↑ "Los Angeles Angels of Anaheim Top 10 Batting Leaders". Baseball-Reference.com. Archived from the original on October 22, 2012. Retrieved August 28, 2013. ↑ Muder, Craig. "Character and Courage in Cooperstown". Baseball Hall of Fame. Retrieved August 27, 2013. ↑ Keri, Jonah. "The 18 best Jewish ballplayers of all time". Salon.com. Retrieved August 28, 2013. ↑ McCurdie, Jim (October 13, 1986). "They Have Carew's Number". Los Angeles. Retrieved April 15, 2008. ↑ "Minnesota Twins Youth Baseball & Softball Training Camps". Mlb.mlb.com. August 26, 2011. Retrieved October 6, 2011. ↑ Connor, Joe (January 17, 2006). "Welcome to Panama". ESPN. Retrieved December 3, 2008. ↑ "Chevrolet Presents the Major League Baseball Latino Legends Team unveiled today". MLB.com. Retrieved August 28, 2013. ↑ "Retired Numbers: Rod Carew". Minnesota.twins.mlb.com. Retrieved October 6, 2011. ↑ "Angels Retired numbers". Losangeles.angels.mlb.com. Retrieved October 6, 2011. ↑ Price, DeAntae (July 13, 2010). "Roberto Clemente, Rod Carew honored at All-Star FanFest". Los Angeles Times. Retrieved August 28, 2013. ↑ Litsky, Frank (April 18, 1996). "Baseball; Rod Carew's Daughter Dies". The New York Times. Retrieved August 28, 2013. ↑ Pahigian, Josh and Kevin O'Connell (2004). The Ultimate Baseball Road-Trip: A Fan's Guide to Major League Stadiums. Globe Pequot. p. 428. ISBN 1592281591. ↑ "The Tobacco Reference Guide by David Moyer". Archived from the original on September 27, 2007. Retrieved September 18, 2008. ↑ Rushin, Steve (November 23, 2015). "Rod Carew Opens Up About His Private Life And His Near-Death Experience". Sports Illustrated. New York, NY. ↑ Rosenthal, Ken (February 27, 2016). "Rod Carew's Return Is Everything We Love About Baseball". Fox Sports. New York, NY.